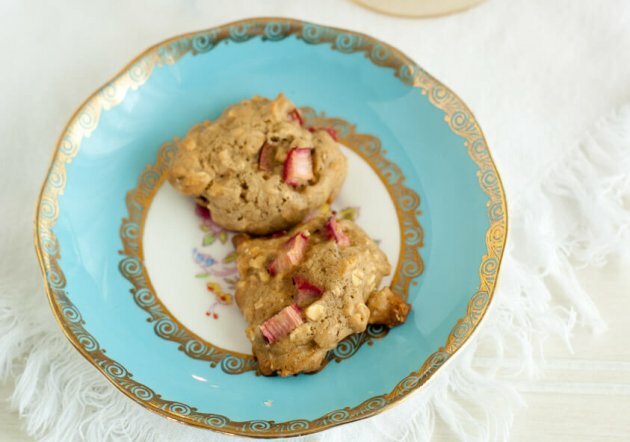 Soft rhubarb oatmeal cookies – Lightly sweetened with fresh ginger and lemon zest to add a bright flavor without overpowering rhubarb’s signature tang. 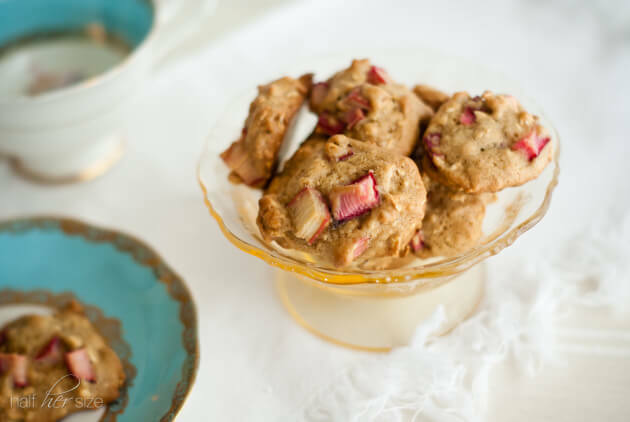 Rhubarb Oatmeal Cookies a wonderful dessert recipe for tea parties or showers. A unique cookie recipe, whose flavor improves with a bit of time. Great for making the ahead of a party. Low carbohydrates and sugar, 2 Weight Watchers Points Plus per serving. 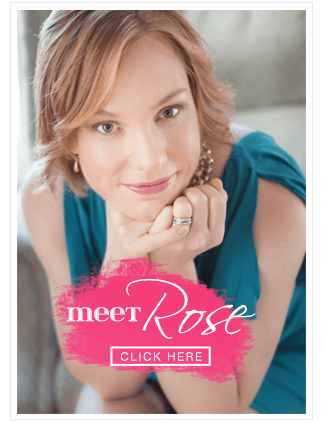 Join me for a little grown up make-believe. 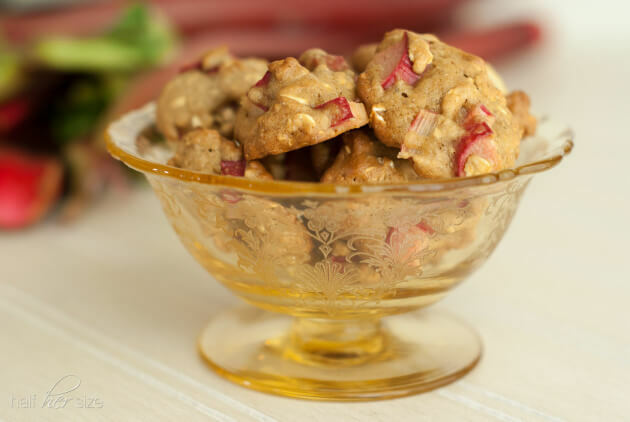 There is something nostalgic about these rhubarb oatmeal cookies. They give me the urge to set a table with beautiful linens, mismatched china cups and dainty bud vases. I don’t remember many tea parties in my childhood – I was more of a worm topped mudpie gal. If I did have tea parties, rhubarb oatmeal cookies would have been the treats my guests nibbled. I can picture it perfectly: A table of imaginary friends dressed in pastel and petticoats, with veiled hats pinned to perfectly styled hair, and all sipping perfectly brewed tea from thin china cups. Because they are extremely polite, but also because it is true, my guests would comment that the cookies are simply charming! Their imperfect shapes give them a quaint appeal. Of course, there would be one sour grape amongst them to pooh-pooh the rustic bits of rhubarb and whole rolled oats. “Utterly gauche!” (Little girl fantasies are such high drama!) Miss high-and-mighty would be responded to politely but, generally ignored by the others around the painted iron table – obviously there is an iron table, it is a garden tea party. Yes, this is certainly how my little girl fantasy tea parties would have played out. I am sure my mother would have encouraged this type of imaginary thinking. I am also sure she would have been more than happy to supply my garden tea party with fresh rhubarb oatmeal cookies. Cookies and a box of lacy dress up clothes. Mom would also strongly encourage any use of the word, “gauche,” during creative play. Rhubarb recipes often pour on the sugar overwhelming its natural flavors. In this recipe fresh ginger and lemon zest add a bright flavor without overpowering the rhubarb's signature tang. 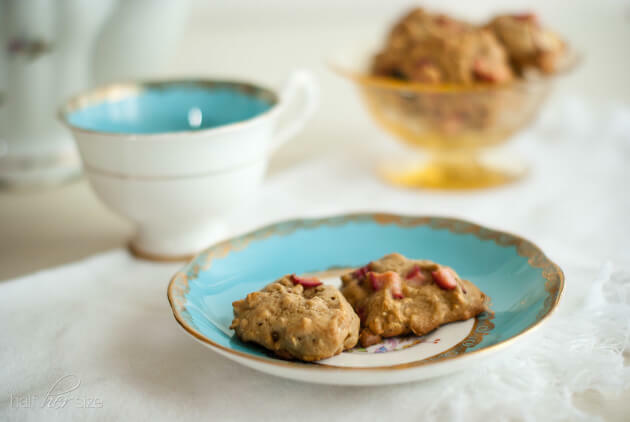 These soft rhubarb oatmeal cookies are perfect with a cup of tea in the afternoon. They would make a lightly sweet addition to an afternoon shower or garden party menu. Line two cookie sheets with parchment paper or a silicone baking mat. Preheat oven to 375F degrees. Toss the rhubarb pieces with 1 tablespoon of sugar and let set aside. In a medium bowl — Sift together flour, baking soda and all spice. Whisk in the oats. In a larger bowl — Use a fork to whip the butter and sugar until they are light and fluffy. When fluffy mix in egg until combined then add the vanilla, ginger, and lemon zest. Gently mix the flour into the batter until just combined. Once all dry ingredients have been blended, fold in the rhubarb pieces and any juice. Spoon the batter onto the prepared cookie sheets using a small, leveled, cookie scoop or by the rounded teaspoonfuls. Bake the preheated oven for 10 to 12 minutes until edges are golden brown. Allow the cookies to cool slightly on the pan before transferring to a wire wrack to cool completely. Hey, ⅓ Cup Butter is 75 Grams, not 175 grams. 175 is a lot of butter! You are right. Thank you for saying something, Littlesptnuk, these would not work with that much butter. No Problem. The family was very happy with the cookies. I used whole wheat flour instead of regular, which worked well. We like our cookies to be pretty firm, and these were a little soft for us. Christopher Kimball has an awesome oatmeal chocolate chip recipe in his Desert Bible. In that recipe, they take half the oats and pulse them in a mixer. The structure you end up with is brilliant. So, next time I think I’m going to try it with 1.5 x the oats, and do the blender thing. I think that will give the cookies the extra heft I’m looking for. And I really want to try it with some chopped apple, which it would be able to take if it had the chopped oats for support. Plus, with the chopped apple, I could maybe cut the sugar back a bit more. And then a half a teaspoon of salt to round it out. Good recipe. I really like the lemon and ginger kick to it. Thank you for your thoughtful comments and feedback 🙂 I’m so glad you liked the flavors. Yes, these are soft cookies. I like your ideas for adjusting the texture to match your family’s preference. I make a peanut butter cookie with ground oats and applesauce but I’ve not tried leaving some whole. I certainly will! I am sorry to read about your tummy trouble. I usually don’t want to revisit the last thing I ate before getting sick either. I hope you are feeling better. 1. Make sure to use only the rhubarb stalks (the part that looks like celery) not the leaves, the leaves are poisonous. Rhubarb stalks can be eaten raw so they should not make you ill.
2. Dice the rhubarb very small, about the size of a chocolate chip. 3. Oven temperatures do vary so make sure to keep an eye on anything you are baking for the first time. Use the color (golden around the edges) and the aroma (sweet and toasty) to help you know when the cookies are finished baking. I really like these cookies. We have a huge amount of rhubarb, and I’m always looking for healthy ways to use it. I had some fun and did a little substituting…I used coconut sugar in place of the white and brown sugar, half coconut oil for half of the butter, and white wheat flour. The cookies are delicious!